Even with that noise reduction, the variation between successive readings is about 5%, so trust only the first digit and half of the second; the fractional digit is worthless. Averaging the columns gives 42 and 20 mV RMS, which correspond to 59 and 28 mV peak. I estimated 60 mV peak from the filtered-but-not-averaged scope trace in the earlier calculations, which falls in the same ballpark. 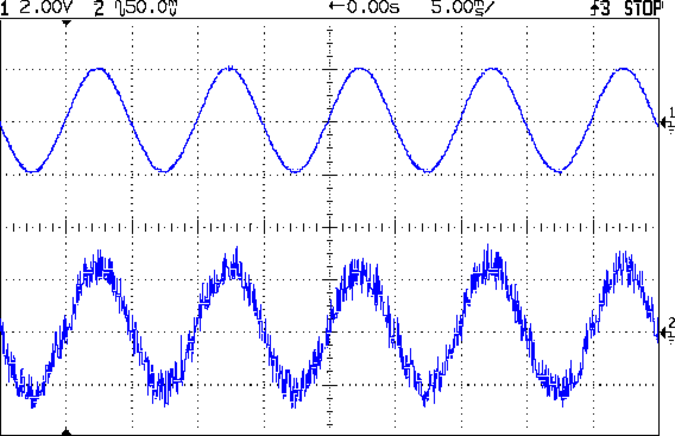 If you were doing this for real, you’d use a DC current and a static field, plus a simple RC filter to improve the noise rejection, but this was a quick-and-dirty measurement. The peak magnetic flux should be about 31 to 33 G; I’ve been using 32 G based on the nominal permeability and measured air gap. Assuming that’s the case, then the sensors in the first column run at 1.8 mV/G (1.75 + 3% or 1.7 + 6%) and those in the second column at 0.875 mv/G (1.0 – 9%). The nominal range, taken from the SS49E datasheet, runs neatly across the gap in the middle, with one sensor falling just barely inside. The SS49 range neatly brackets the data on the left, but that’s not what those parts are supposed to be. Now, I’ve often referred to eBay as my parts locker (at least for stuff I don’t have in the Basement Laboratory Warehouse Wing), but I know what to expect and am not in the least surprised at these numbers. If you or anyone you know buys parts from eBay in the expectation that they’re getting Good Stuff Cheap, then you should rethink that expectation. I’d say that, to a very good first approximation, anything bought directly from halfway around the planet via eBay (or any source like it) will be, at best, counterfeit. For my purposes, I can measure and use most of it (assuming it actually works and ignoring minor issues like, oh, reliability and stability). In an actual product application, eBay is not the way to get your parts. This entry was posted on 2013-01-24, 07:20 and is filed under Electronics Workbench, Home Ec. You can follow any responses to this entry through RSS 2.0. Both comments and pings are currently closed. I’m building a project that’s going to use a raft of triac output optocouplers. I was thinking eBay too, planning on having to test and bin them somewhat to choose appropriate current limiting resistors on the LED side. I changed my mind on this, however, as the non-compliant spec could end up being the isolation voltage, and I really don’t want 120VAC going to unexpected places. Also, a little checking showed the Digikey price for new, genuine parts is about $36/100, and the eBay ones of unknown provenance started at about $50/100. That should read “new, presumably genuine parts”, but I’m more confident about DigiKey being a reputable supplier, too. Pricing for eBay junk makes no sense, with some stuff being so staggeringly expensive that I can’t imagine who bought it. On the other paw, for small lots of totally non-critical stuff, it’s (usually) hard to beat; you can spot a massive government subsidy behind all the “Free shipping” offers from halfway around the planet that would cost you more than the total price to return. A guess, but analog parts usually have one or two tough parameters to meet, and you’ll get fallout on those. If supply current isn’t much of an issue (the LMxxx ultra-ultra-low power opamp, f’rinstance), you probably will see supply current well within specs. 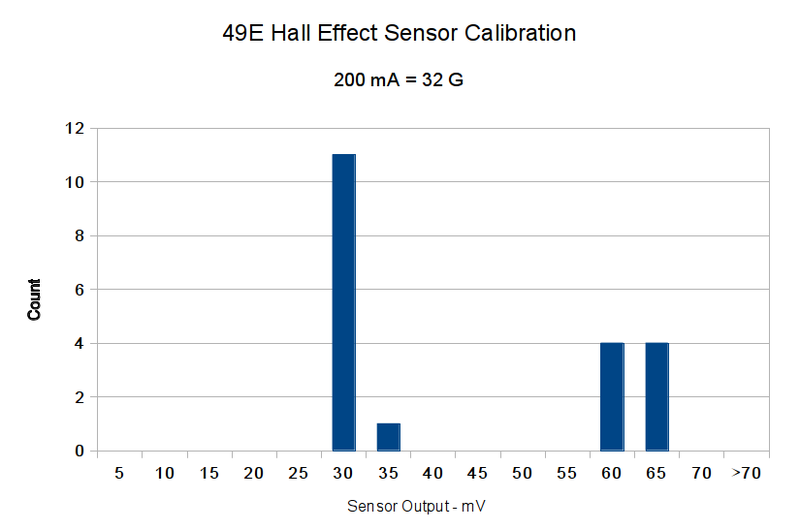 I haven’t worked much with Hall devices (and not in decades), but I can see where some easily achieved fab variations would kill the response spec. We never did triac-out optocouplers, but the HPs did isolation quite well. If the spec is 1000V, you would have been fine with 120VAC. However, that was a long time ago, and I never dealt with parts from other manufacturers. If it’s critical, go to a good distributor and derate like mad. War story: National did a first generation FET input opamp. LF156 if memory serves. They wanted to do the LF156A with better specs, and somebody measured 3 parts and found they all were dead on. They released the product, only to find yield to the “A” spec was 3%. I’m glad it wasn’t me in that fiasco. Father Vaughn, a silicon guy from back in the day, used to say that if your process yield exceeded about 3% (or some such small integer), then the design guys weren’t pushing the specs hard enough. I think his point was that for some high-end applications where the physics wasn’t on your side, you couldn’t manage for yield. Smuggled through the Iron Curtain for all those audiophiles, I’m sure! Tubes are definitely being counterfeited (mismarked) to take advantage of the audiophile market.